We're past the 6m mark … kind of. * 18.5 has fallen in the last 24 hours in Niseko,much more in drifted areas. At 6:00 am today the temperature was –10.2 °C. 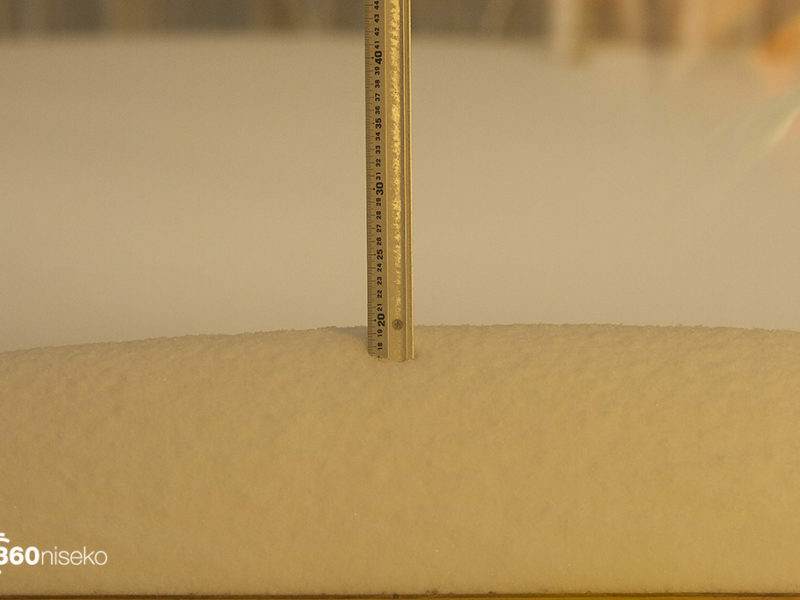 The Powder Express arrived at about 60 kph all day yesterday and for most of the night, this along with double digit cold temps has seen probably the largest snowfall of the season but readings on the snow station are much more modest. 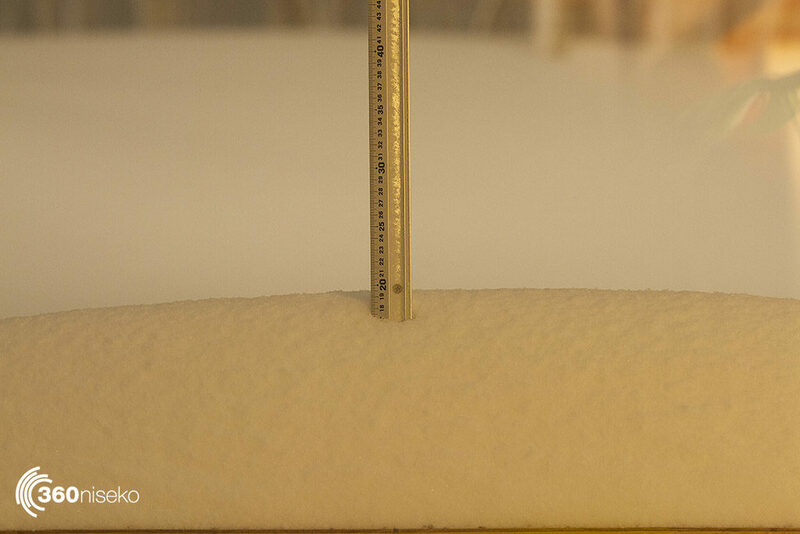 We have more snow on the front verandah (snow only piles up there about 4 times a year) than we do on the snow station. The snow will be drifted to pretty strange locations today and it will be really deep and really light. It would be fair to say this is our biggest fall of the year so far but the wind has done some wild stuff to the snow and we imagine avalanche conditions will be off the scale.